We’re all cyborgs when we learn. It’s been a long time since the last blog entry, because I finished and defended my dissertation on June 15. Despite the time commitment involved in finishing the dissertation, I’ve still been active in the Chicago Center for Teaching, helping to train new teaching consultations, helping to develop the details of our new Teaching Fellows program, assisting with a workshop, etc. But one of the most interesting pedagogical projects that I’ve been exposed to in the last year or so is the online journal, Hybrid Pedagogy. I met Chris Friend, managing editor, at a networking event for new Ph.Ds, and besides the fact that it’s just plain fun to geek out about pedagogy with an expert in the field, it was a great learning experience for me. As the website points out, “all learning is necessarily hybrid” – whether we’re talking wax tablets, rote memorization, or the newest technology, learning has always involved something outside the learner. I have sympathy for instructors who prohibit laptops and tech, but I also think that to do so is not only untenable in the long-term, but also potentially neglecting a valuable learning tool. Technology is here to stay, so why not make it into something useful? Hybrid Pedagogy wants to help with that project. So this is just a brief note between edits to plug a project that strikes me as very important for the future. This entry was posted in Teaching and tagged Learning, Teaching on June 17, 2015 by Elizabeth. This week, the Chicago Center for Teaching held its annual two-day teaching conference designed to help graduate students learn to be effective teachers and TAs. Today’s plenary lecture was on “Teaching is not learning,” given by Jean-Luc Doumont, who works for a company that specializes in effective communication. The talk was a dynamic introduction to how to think as an instructor and how to create a learner-centered classroom, and I hope the new instructors found it helpful. I found that Jean-Luc provided some bon mots that are useful and/or thought-provoking, so I thought I would share them. This entry was posted in General musings, Teaching and tagged Social Science, Teaching, Training on September 25, 2014 by Elizabeth. This is an interesting article about a visit Eric Mazur (he of “peer instruction,” which I discuss here) paid to Vanderbilt University, where the faculty had a chance to experience the “flipped classroom” themselves. 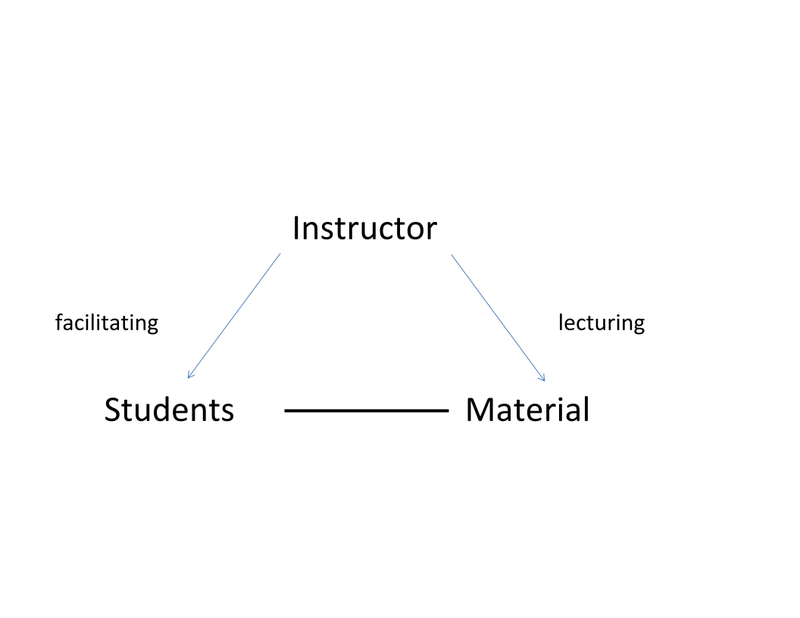 One of his key points is that when we consider how we instructors learned to teach, we almost never say that we acquired our knowledge of teaching by passively sitting through lectures, so why do we teach that way? The article also links to a couple videos of Mazur in action. This entry was posted in Teaching and tagged Discussion, Lecture, STEM disciplines, Teaching, Training on November 26, 2013 by Elizabeth. Last spring, I did a short presentation (on Mazur’s peer instruction) for an event at the University of Chicago’s Center for Teaching and Learning, and afterward, I was recruited to become a Teaching Consultant. As a Teaching Consultant (TC), I am one of a handful of graduate students from across the university who have the opportunity to get together and read and talk about pedagogy. We take the knowledge we glean to help other graduate students in their classrooms through workshops and individual consultations. Yesterday, we met to have a discussion about discussions. This entry was posted in Teaching and tagged Discussion, Social Science, STEM disciplines, Teaching, Training on October 17, 2013 by Elizabeth. This entry was posted in Archaeology, Epigraphy, Teaching and tagged Armenia, Epigraphy, Georgia, Roman period, Teaching, Training on September 13, 2013 by Elizabeth. 1) Studies show the efficacy of some of the techniques I use while teaching, for example, breaking the students into smaller groups to teach each other the material. 2) Also, reading books about pedagogy doesn’t take as much time as I thought it would, since you can skip to the techniques you’re trying to work on and skip any you’ve got down. I find it rather interesting that I can pick up a teaching book and, instead of reading it for an overarching argument, cherry-pick directly to the elements that speak to me. (For example, I don’t really need the chapters on lecturing effectively—yet.) So I did just that: I went through the book and cherry-picked to the material that’s important to the discussion-based classes I teach at the University of Chicago. Since I’m trying to use this forum as a way to explore and improve my own teaching, this discussion will obviously be focused on my particular situation. But I’m putting McKeachie’s 7 “biases or hypotheses” inset over here for general purposes, before I go on to discuss what I found most interesting. This entry was posted in Teaching and tagged Discussion, Teaching on November 1, 2012 by Elizabeth. It’s been a very long time since I wrote, but my experiments in teaching last year were pretty successful—my students took apart their texts pretty well, they definitely learned how to write better papers over the course of a couple quarters with me, and they really seemed to enjoy class. My ego also survived multiple questionnaires, which were extremely helpful for understanding what techniques (the students thought) worked and what techniques did not. More about what worked will come below. This entry was posted in Teaching and tagged Teaching, Training on September 11, 2012 by Elizabeth. I basically stopped writing this blog last quarter, because I wanted to write about teaching, but I fell into an ethical conundrum: is it fair to write about experiences involving other people in real-time, if they don’t know that they are being written about—even if you leave names out of it? I’m not even sure that the timing matters; it seems a strange thing to write about other people regardless of whether it’s real time or not, although relating stories about “Funny things that happened to me in the past” already lends distance to the stories, right? Somehow, writing about past events seems less like nosily intruding on everyone else. 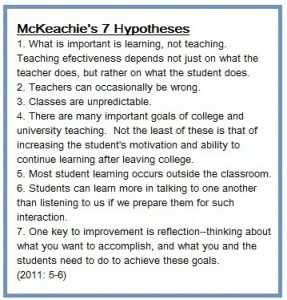 This entry was posted in Teaching and tagged Discussion, Social Science, Teaching on January 17, 2012 by Elizabeth. I really enjoy teaching—it might be that I’m a little spoiled, that the students at the U of C are unusually talkative and involved, but I really enjoy fostering discussion amongst a group of young ‘uns ready to explore our work. I have a good group of students this quarter, with perhaps more than the usual number of talkative kids, but yet no one who is trying to dominate the room. Everyone is respectful, and they are starting to learn to address each other, which I think is important. This entry was posted in Teaching and tagged Discussion, Philosophy, Social Science, Teaching on October 4, 2011 by Elizabeth.